They’re out for an intensely good time. 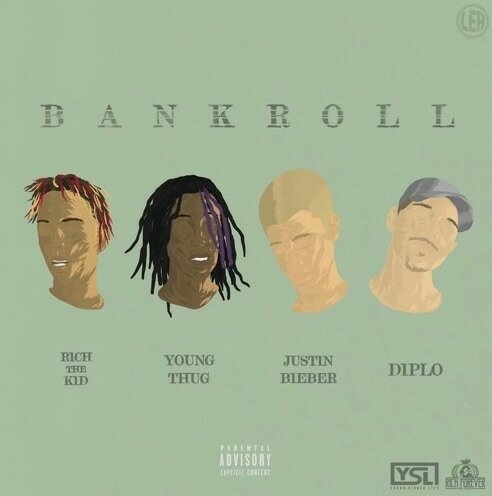 Justin Bieber is back to spitting lyrics on "Bankroll," the long-promised Diplo song featuring Rich The Kid and Young Thug. If you've ever wanted to have a good time with any of these artists, "Bankroll" serves as your insight into what that might look like. The beat is produced by Diplo, Boaz, and King Henry, and sounds like a bunch of squeaking cartoon shoes dancing at a rave. Listen below.